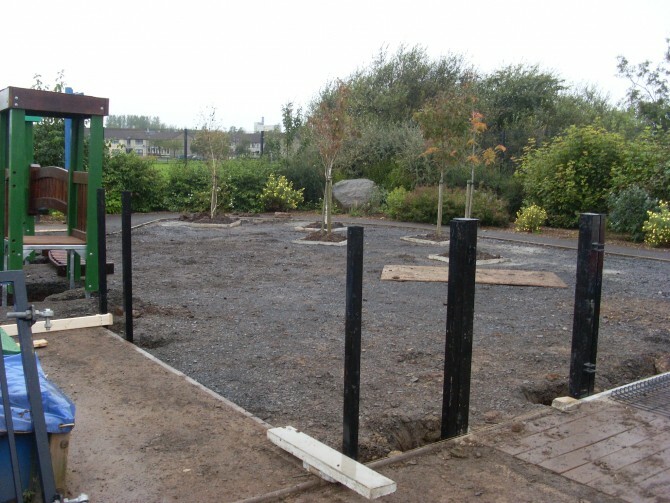 We received an enquiry from Ballysally Nursery school in April 2011. An appointment was made for David to meet with Principal, Mrs Emerson. 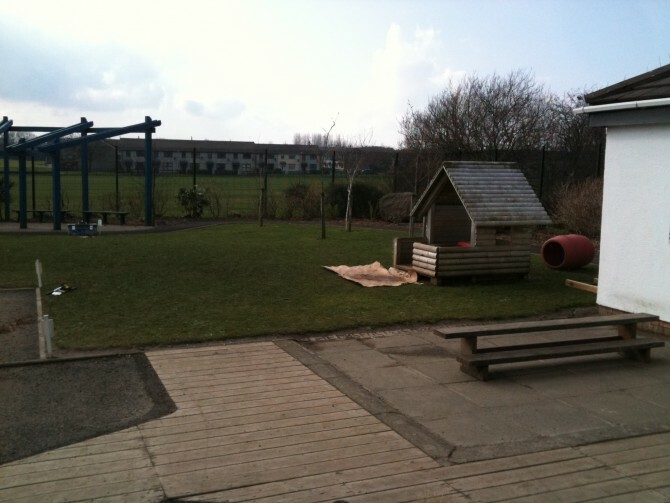 Mrs Emerson had successfully secured funds for an outdoor project and she was was keen to make use of a large grassed area with 5 mature trees in the nursery grounds. 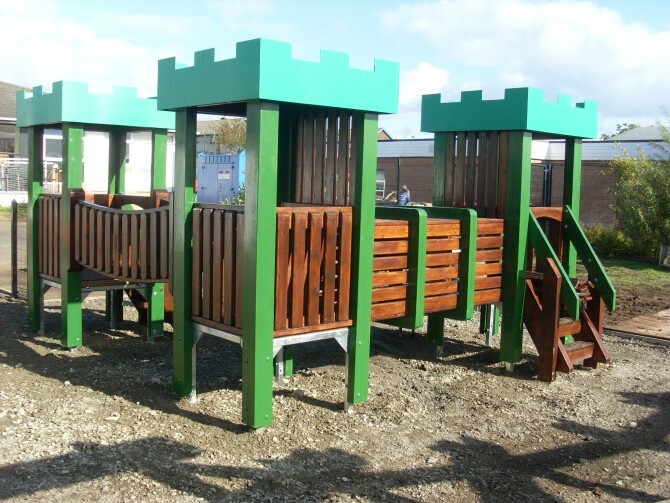 Safety of the equipment was paramount and as Timbertots is an approved supplier of the North Eastern Library Board, Mrs Emerson felt confident this would not be compromised and a high standard of product would be provided. Mrs Emerson had a clear vision of the play area she wanted. 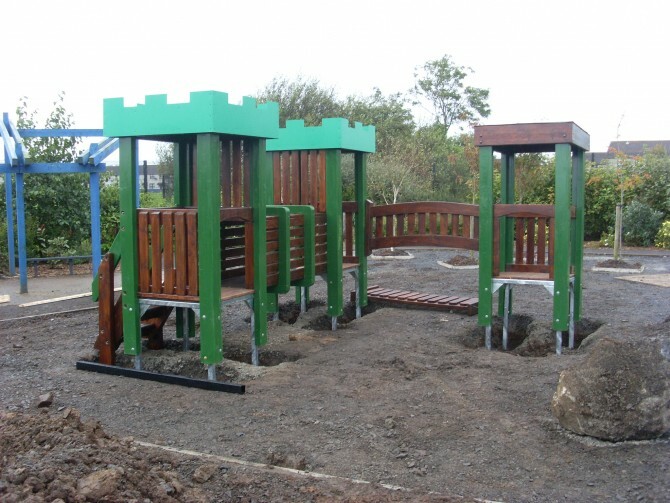 She felt a complete play system would be a fantastic addition to her playground as it would offer the children a variety of challenges. 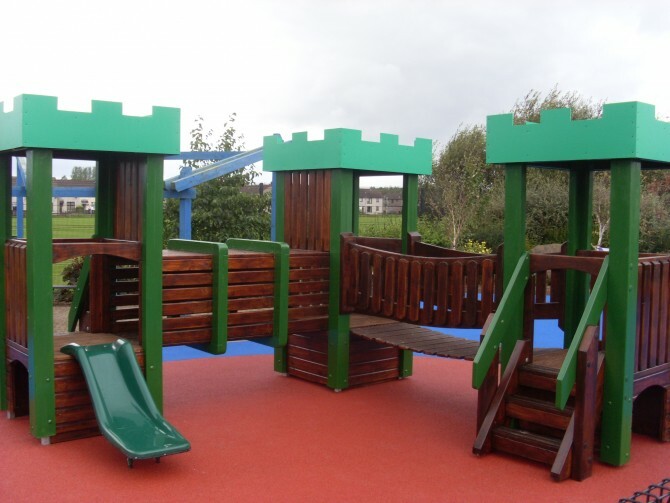 A play system would develop the children's motor skills, balance, coordination and confidence and offer the children limitless opportunities for imaginative play. After consultation we had a list of features that were essential to the design of the play system. We needed to incorporate towers, a bridge, a slide and a crawl through tunnel. 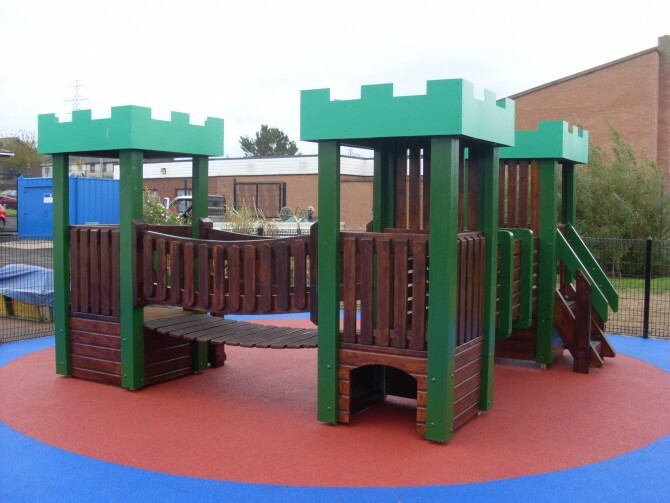 It needed to be child friendly with height not exceeding 60cm and decorative in appearance. David measured the area and considered his bespoke design. A colourful AutoCAD design of the product, a layout plan and a competitive quotation was forwarded to the Principal. We listened to Mrs Emerson's feedback and amended the plan by adding an additional set of steps for children to access slide rather than always going through the tunnel. After several discussions Mrs Emerson was satisfied with the final design and our team got to work. 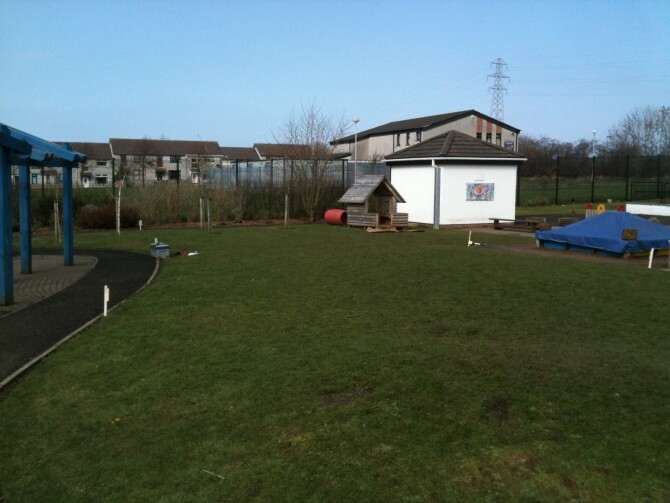 On September 2011 we started work on the site. 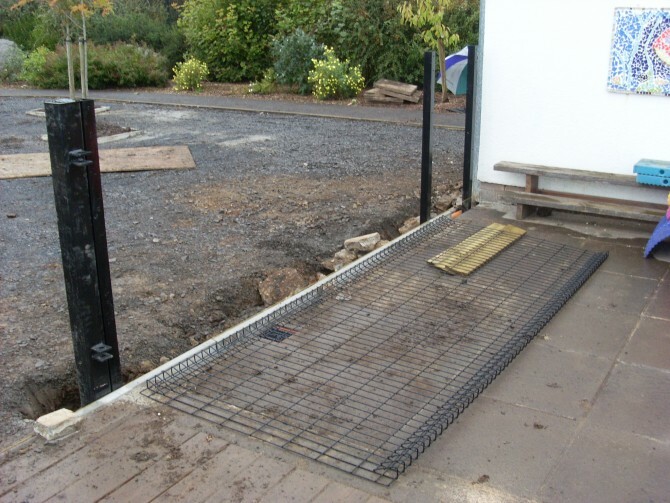 We erected a fence and gate around the area. As a first step we prepared the ground by removing the earth. The team then installed the nursery play system. 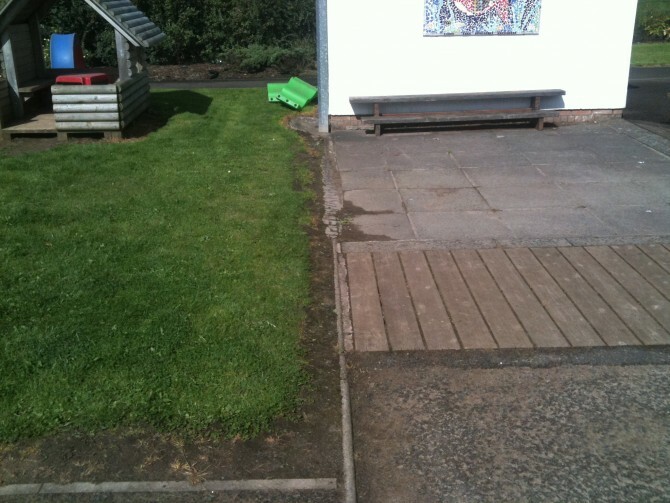 As a final step we laid a stone base and completed the project by laying coloured Wetpour Safety surfacing at the site. As you can see from the photographs the transformation is fantastic and the feedback from the children and staff has been amazing. 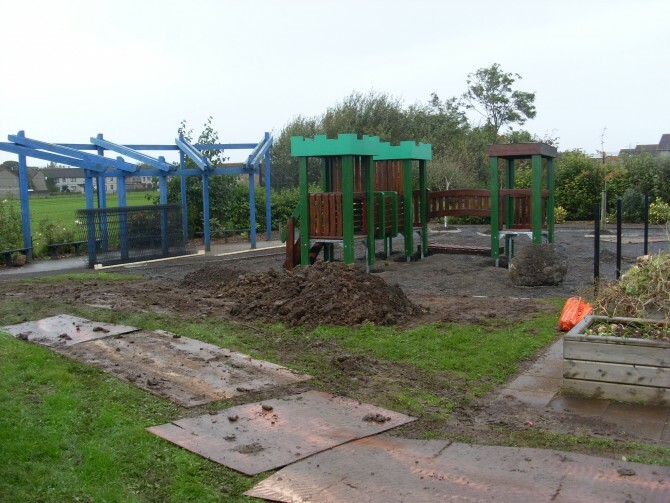 We even got a mention in the Coleraine Chronicle which ran a feature on the new play area! Click on the thumbnail image to view the image gallery.